Endurance Athlete. Fastest person to have ever swum the English Channel. Follow me on my journey to the London to Paris, Enduroman Arch to Arc ultra-distance Triathlon! 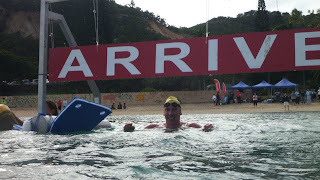 Last week I travelled with the Australian Swim Team to compete in the 2012 Oceania Championships that were held in New Caledonia. I was lucky to be able to compete in both the pool and open water events. The last few trips I’ve done lately I’ve travelled solo so it was good to be part of a team environment again. It was a slightly younger team that was picked for these championships, so it was great to meet some of the new up and coming swimmers Australia has. 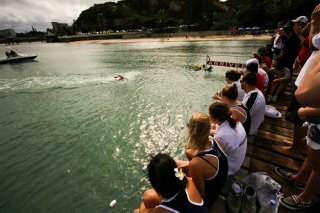 The first day of these championships was the 5km open water event. In this race I finished second, 4 secs behind my fellow countryman, Rhys Mainstone. When it came down to the final 200m sprint, I just didn't have the change of speed I needed to go with him. The next day was the 1500m free. We didn't have to do heats and finals for this race - just a final. I placed second again in this race but this time to teammate Jarrad Poort. It was hard having to back up from the 5km the day before, but I still managed to swim 15.32. Jarrad swam 15.30... In the 400 free I picked up my third silver medal of the championships. 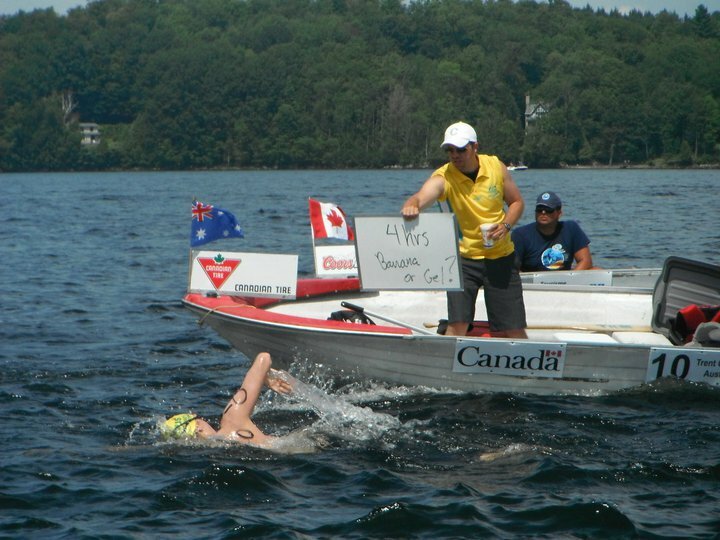 The last day of these championships was the 10km open water event. Again it turned out to be a battle between Rhys and I until the last lap when I managed to break away and ended up winning by two and a half minutes. Swimming the times I swam this week after the big kms I've been doing lately, i'm very happy. Everything is starting to come together nicely! Two weeks back I received my pair of the new Finis straples spaddles. These paddles are great. The advanced design of these paddles helps teach swimmers the correct palm position. Due to the paddles strapless design, incorrect technique will cause the paddle to fall off your hand. I've been using these paddles every day since. I leave in just 10 days for the Capri-Napoli Grand Prix in Italy. It's a 36km marathon from the Island of Capri to Naples. I'm really looking forward to this race! Trekking in Nepal|Asian country|Asian nation is delighted to welcome to you small however wonderful country in Nepal. After you can have unbounded adventures, there are attraction sharing and unforgettable in your life. Asian country trekking company, found by the team of ardent and therefore the trekking specialists is dedicated to impart you a fondest memory throughout your Nepal holiday with us. We have been serving not here in Nepal solely, additionally in Tibet, India and Kingdom of Bhutan additionally. No matter, what variety of trip you decide on in Nepal. Either Nepal trekking , rafting and cannoning, Nepal Tour , mount, Nepal Peak Climbing , jungle safaris and Nepal trekking activities. Nepal traveling with us is quite simply a quick to remain somewhere; it's a true reference to the individuals, the distinctive rural area, distinctive culture, the Nepali cookery, the setting and therefore the flora and fauna of the country. Nepal tea house trekking giving for tiny trekking teams and massive trekking teams. We tend to are giving you, as your alternative trekking service additionally. You'll resolve our trekking guide are going to be the nice and cozy welcome and government trended license to guide the Nepal historical place And Nepal mountain range ranges . It's some common trekking trails at below. Trent Grimsey. Simple theme. Theme images by sbayram. Powered by Blogger.